Arthur Haecker is currently the Instructor of Trombone and Euphonium as well as the Director of the Norseman Band, at St. Olaf College in Northfield, MN. Prior to his appointment at St. Olaf Dr. Haecker served on the faculties of East Tennessee State University, Newberry College, and The National Music Conservatory in Amman, Jordan. He holds degrees from the Eastman School of Music, the University of Michigan, Winthrop University, and the University of Iowa. His private teachers include Mark Kellogg, David Jackson, and David Gier. Dr. Haecker maintains an active performing and teaching schedule. He has been a featured soloist throughout the United Stated and the Middle East. An advocate of Arabic music and culture, Dr. Haecker has worked hard to introduce Arabic music to American audiences through performances and lectures. 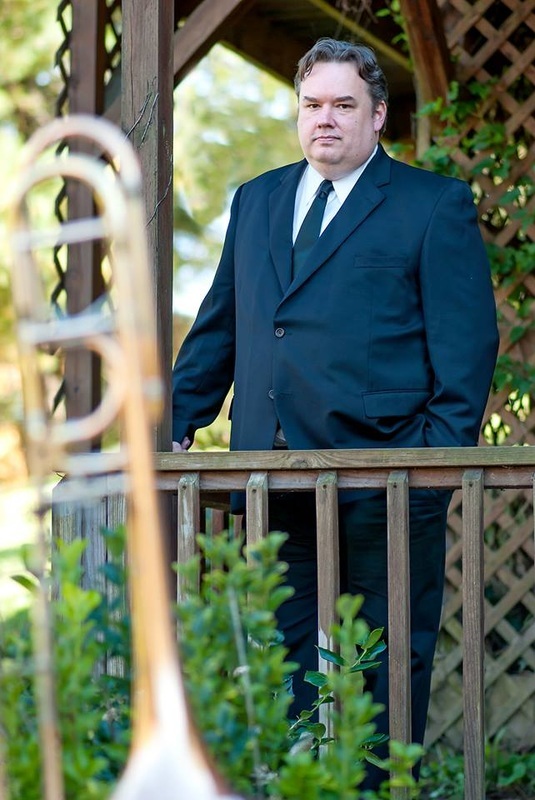 He has performed with the Amman Symphony Orchestra, Knoxville Symphony, Atlanta Pops Orchestra, the Brass Band of Appalachia, and the Illinois Symphony. He has also participated in the Hot Springs Music Festival, the Southern Illinois Music Festival, and the Brevard Music Festival. As a conductor Dr. Haecker is passionate about wind music. He has been a guest conductor at the University of Massachusetts, Illinois State University, and Winthrop University. Additionally, he has done extensive research on Civil War brass bands and has presented his findings at conferences around the country. Dr. Haecker is also the co-founder of Polymnia Music, a music publishing company dedicated to promoting young composers and arrangers. In his free time he enjoys cooking, playing tennis, and spending time with his wife Allyss, and his son Kai.